Ukraïns’ke pravoslavne slovo – Ukrainian Orthodox Word («Українське православне слово – Ukrainian Orthodox Word»). Originally, a monthly, and currently bi-monthly, organ of the Ukrainian Orthodox Church in the USA. It has been published in Ukrainian, as Ukraïns’ke pravoslavne slovo, since 1950, at first in New York and then, since 1951, in South Bound Brook, New Jersey. It succeeded Dnipro (USA) as the official publication of the church. Ukraïns’ke pravoslavne slovo had an English-language section from 1951; in 1967 it became a separate journal, Ukrainian Orthodox Word. 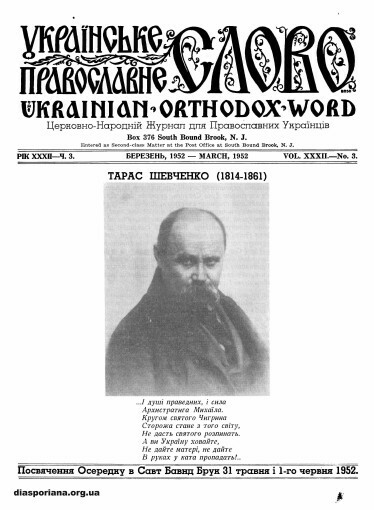 Many of the articles in Ukrainian Orthodox Word were translated from Ukraïns’ke pravoslavne slovo. Since 2005 the magazine has been published as a bilingual edition under its current title. The journal’s editors have included Yu. Bobrovsky, I. Hundiak, F. Istochyn, A. Kotovych, I. Kreta, Hryhorii Pavlovsky, Metropolitan Mstyslav Skrypnyk, P. Falko, D. Zelinsky, E. Symonenko, and others. The journal includes pastoral letters; church news; and articles on religious, political, historical, and cultural topics. 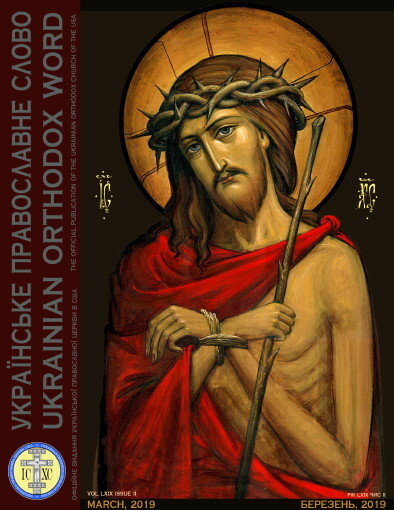 It is a valuable source of information on the history of the Ukrainian Orthodox church.